The technology company Coeval says its Intelligent Warning Systems could save lives and save taxpayers more than £23m a year by protecting crucial tunnels, bridges and overhead cables in the UK. It says the technology could significantly reduce the chance of overheight vehicles hitting railway bridges and tunnels – with more than 1,700 cases identified by Network Rail alone in 2017. 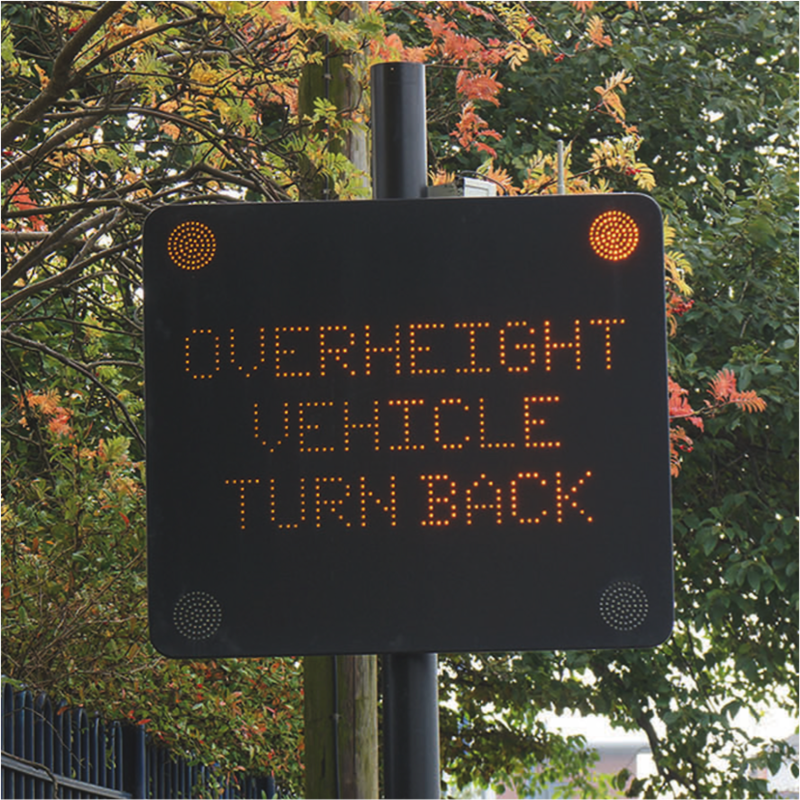 The system uses sensors to track overheight or overweight vehicles well before they get to a potential hazard, using a high-definition LED sign to display a message warning the driver to stop or divert to a different route. “These signs are easy to fit, visible in all conditions and are vandal resistant, completely eradicating the need for drivers to know the height and weight of their vehicles,” the company explains. Coeval has been supplying this technology to local authorities and highways agencies for over 30 years, yet many organisations are still preferring to invest in driver awareness campaigns that simply aren’t working. “So-called ‘bridge strikes’ continue to cost rail operators, passengers and road users significant time, money and inconvenience with some even proving fatal,” says Gary Higgins, Managing Director. He continued, “Our Overheight Vehicle Detection System doesn’t try to change driver behaviour, we prefer to focus on preventing collisions before they happen by taking human error out of the equation’’. “We’ve fitted these systems to the Dartford Tunnel, a number of high profile roads in Edinburgh and in cities in Brazil, Hong Kong, Singapore and Greece. It’s the only solution that works!